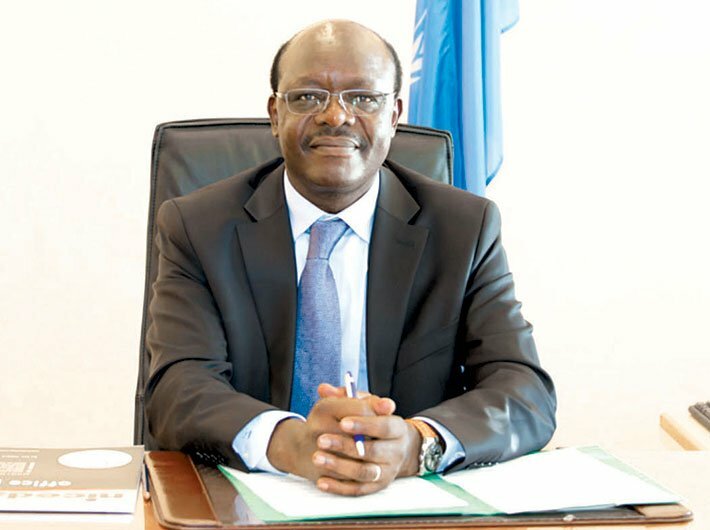 Dr Mukhisa Kituyi is the seventh secretary-general of the United Nations Conference on Trade and Development (UNCTAD). He has extensive background as an elected official, an academic and a holder of high government office. For five years beginning 2002, he was the Kenyan minister for trade and industry. Dr Kituyi has also served as chairman of the Council of Ministers of the African, Caribbean and Pacific (ACP) group of states, and was lead negotiator for eastern and southern African ministers during the European Union-ACP Economic Partnership Agreement negotiations. He was convenor of the agriculture negotiations carried out at the World Trade Organisation’s sixth ministerial conference held in Hong Kong, China in 2005. The fourteenth session of the UN trade agency’s quadrennial ministerial conference will be held in Nairobi between July 17 and 22. Heads of state and governments, ministers, academic and economic experts, private sector, civil society organisations and journalists will huddle together in the bustling Kenyan capital for discussions on the global economic situation and trends in trade, finance, technology and investment – especially as they affect developing countries. The theme of the conference, ‘From decision to action: Moving towards an inclusive and equitable global economic environment for trade and development’, will have thematic roundtables on issues like tackling south-south vulnerabilities, e-commerce for development and escaping the middle-income trap. In this interview, Dr Kituyi speaks on the upcoming ministerial conference, the proliferation of regional trade deals, black money and low-tax havens, among other issues. What concrete outcomes do you expect from the 14th ministerial conference in July? A main objective of our Nairobi conference will be to address the dampening global mood on globalisation that we are seeing around the world today. By bringing together developed and developing countries collectively in Nairobi, we hope to counter the declining belief in international trade and finance as enablers for prosperity, which we see around the world today, whether it is due to the falling commodity prices and rising debts in developing countries, or to the growing inequality and wealth concentration in the West. At UNCTAD, we contrast the current pessimism with the three major optimistic achievements of multilateralism agreed in 2015: the Addis Ababa Financing for Development Conference in July, the summit in New York on the 2030 Agenda for Sustainable Development in September, and the COP-21 climate change conference in Paris end-November. For us, implementing these agreements from last year as quickly as possible is the best way to confront the growing gloom that we are seeing, and we need to turn around our optimism into actions that can fulfil the potential of international engagement in trade, finance and investment in a positive way. The Sustainable Development Goals agenda makes a very fundamental assumption: that because of the limits of public revenues in developing countries, there is going to be a greater role played by private sector flows – foreign direct investment (FDI) – particularly investment in infrastructure that is of critical importance to developing countries. And governments in the developing world now also have to be more judicious in how they manage to expand their revenue base and to prioritise related investments in sustainability. At Nairobi, we are hoping that we can do some specific things that talk to each of these major issues, meaning, in order to work through this fog in a way that reignites optimism and concrete actions in fulfilling the promises of 2015. We think a number of concrete steps have to be taken, some through our high-level discourse and some through new initiatives that we have been negotiating slowly over this period that can talk to these issues. We hope to receive a vote of confidence in UNCTAD with a renewed mandate. This will help make our contribution even more effective in implementing the Sustainable Development Goals. And with our renewed mandate, we hope to ramp up technical cooperation for developing countries, and the necessary skills for them to prioritise goals and targets from the 2030 Agenda in their domestic planning tools. We also hope to assist developing countries to structure the most efficient partnerships with the private sector because no developing country government will have enough resources to achieve the ambitious 2030 Agenda on its own. UNCTAD has come up with a report that more than $200 billion is stashed in “special protection entities” in low-tax havens. How big is that as a development impediment? How can developing countries strengthen their tax collecting regimes and shun cross-border agreements that eat into national taxes? The Panama Papers recently made international headlines, but we have been seeing for a long time that there is leakage of resources that belong to the developing world which are being taken out by investors: taxes they don’t pay, profits they don’t declare. When developing countries lose $100 billion per year in tax revenues from investments that are channeled through offshore financial centres, that is roughly a loss on the same order as the amount of official development assistance (ODA), which Northern donors give every year to Southern partners. So addressing investment-related tax evasion will go a long way to increasing the fiscal space available to developing countries. We can also work on a framework for renegotiating investment agreements. The challenge is to ensure that this is done through cooperation instead of unilateral action. The best thing is to agree that we can start renegotiating and we can have more investment agreements which can be adopted to countries’ specific conditions but with balanced responsibilities and transparent resource-rents. Traditional international investment agreements between developed and developing countries were very weak from a development perspective. The developing countries were competing with each other in a race to the bottom. This ended in agreements where investors got all the rights and the developing countries undertook all the obligations. Now sustainable partnership with private corporations must strike a balance between responsibilities and privileges. At UNCTAD, we are proposing framework investment agreements to replace the unsustainable traditional agreements. For example, India recently unveiled its newly revamped model bilateral investment treaty. This is a step in the right direction, and has benefited from a lot of the analysis and discussion we are trying to foster at UNCTAD for the benefit of all our member states. How do you view plurilateral agreements that threaten, for instance, access to medicines in poor countries? This has been the subject of much international debate, particularly on intellectual property rights, and access to medicines has been one of those flexibilities that developing countries have been afforded by special and differential treatment at the WTO. Healthy populations in all countries is one of the main aspirations of the SDGs, and in so much as trade can serve as an enabler for sustainable development, we need to do our best to make sure that all international agreements maintain a coherent approach to these important development issues. How much influence do, for instance, agriculture negotiations or talks on the Doha Development Agenda, have on the work of UNCTAD? Are you able to critique outcomes of the WTO? We are all aware that the WTO process, particularly its Doha Round components that are of key importance to the developing countries, remains stuck. There is declining optimism that through the multilateral rule-making process we are going to sort out the priority developmental questions like domestic agricultural subsidies, and other components that were key to the Doha Round. We cannot attempt at an UNCTAD conference to progress on work that belongs to the WTO. But we can raise the question of how we can breathe fresh impetus into the development side of international trade. How can we revive international trade as a positive force for inclusive prosperity, for new opportunities for others, for greater access to quality products at competitive prices internationally? What do you think needs to be done for making trade more equitable for achieving the SDGs? In addition to tackling tax evasion, reforming investment governance, and forging new partnerships with the private sector, there are other areas that can help make trade more equitable for achieving the SDGs. For example, I believe the stage today is set to breathe new life into e-commerce as an enabler of international trade and development. While e-commerce – to speed [up] the movement of goods and services – is a phenomenon that is growing exponentially, there has not been any concerted effort to address what is the developmental role that this can play. Apart from moving goods and services faster, how can it be in a way targeted as an enabler for development? There is also the issue of improving international governance of debt. It’s clear to us that with the collapse of commodities, developing countries debts are rising again. Can we agree to establish a mechanism around the United Nations, which can help debt workouts? Countries like Jamaica today are spending most public revenue to repay foreign debt. Others are headed in the same direction. We hope that in Nairobi an agreement about international governance on sovereign debt and restructuring of debt is going be brought closer. We don’t have to wait until countries go under before we look how to help. Is there any trickle-down effect of robust trade numbers? Making trade, investment and technology inclusive is not automatic, and requires good policies and strong leadership. The good news is that governments have lots of tools they can use to make sure the gains from trade are shared widely, and are put to the use of the country’s long-term development. For 50 years, that has been UNCTAD’s main role, helping countries – particularly developing countries – understand which trade policies, which investment policies, which science, technology and innovation policies they need in their own specific context to make sure that robust trade figures lead to good development outcomes. What is India’s contribution in the upcoming UNCTAD-14? India is sending a delegation to UNCTAD-14. As a large developing country that has avoided the slowdown, which has affected the other BRICS countries, India has a special leadership role not only among other developing countries, but also as a major economic power and G-20 member. We hope that India’s example can be illustrative to other UNCTAD member states of how to tackle development challenges, and of how to harness the global economy for inclusive prosperity.